Jeroen Buijs is a senior researcher at the division of Thrombosis & Hemostasis, and his research focuses on the role of coagulant factors and anticoagulant therapy in cancer progression. During his Ph.D. (obtained in 2009) at the department of Endocrinology (LUMC) he studied the interactions of breast and prostate cancer with the bone microenvironment, showing that specific inhibition of RANKL by Fc-OPG (further developed and now on the market as denosumab) resulted in a near complete inhibition of cancer-induced bone destruction (1). As a postdoctoral fellow (2010-2011) at the Indiana University (USA), he received a prostate cancer training award from the prostate cancer research program to set up a multidisciplinary study for radiation of bone (metastases). 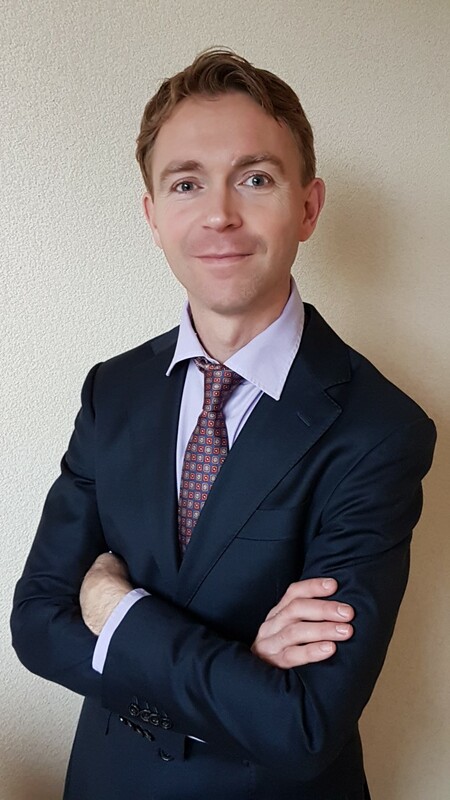 Upon return in the LUMC at the department of Urology, he received a Veni grant (2012-2015) from the Netherlands Organisation for Scientific Research (NWO) to study the interactions of cancer stem cell-targeted agents in breast and prostate cancer. Since 2016 he is recruited to the Einthoven laboratory to study the role of coagulant factors and anticoagulant therapy in cancer progression. Jeroen Buijs has an H-factor of 20, published 33 publications (14 as first-author), which have been cited 2077x. Since 2012, he serves the editorial board of BioMed Research International, subject area: Oncology. Cancer is associated with a hypercoagulable state resulting in the formation of venous thromboembolisms (VTEs), which are the 2nd leading cause of deaths in cancer patients. While breast cancer patients have a relatively low incidence of VTE (0.4-8.1 %), pancreas cancer patients have the highest rates of VTE (5.3%-26%) (2). While the effect of cancer on coagulation has been known since the 19th century, it has more recently been suggested that coagulation could drive cancer progression as well. Activated coagulation factors (e.g., FXa and FIIa) could directly stimulate intracellular signaling via transmembrane protease activated receptors (PARs) in endothelial cells, increasing angiogenesis, or in tumor cells, increasing invasion and survival. On the other hand, generation of fibrin clots, the end product of coagulation, around circulating tumor cells has been shown to shield tumor cells from shear stress or the immune system. 1. The best treatment schedule (early vs. late) for anticoagulant treatment. 2. Which anticoagulant treatment (LMWHs or the recently approved direct oral anticoagulants (DOACs)) shows the best anti-tumor strategy. 3. Which cancer types (breast, pancreatic cancers) may benefit most from anticoagulant therapy. 1. Buijs JT et al. Spontaneos bone metastases in a preclinical orthotopic model of invasive lobular carcinoma; the effect of pharmacological targeting TGFβ receptor kinase. J Pathol, 2015 Apr;235(5):745-59. 2. Buijs JT*, Wright LE* et al. Single-limb irradiation induces direct and systemic bone loss in a murine model, J Bone Miner Res, 2015 Jul;30(7):1268-79. * equally contributed. 3. Buijs JT et al. The BMP2/7 heterodimer inhibits the human breast cancer stem cell subpopulation and bone metastases formation. Oncogene, 2012 Apr;31(17);2164-74. 4. Van der Hoogen C et al. High aldehyde dehydrogenase activity identified tumor-initiating and metastasis-initiating cells in human prostate cancer. Cancer Res 2010 15;70(12):5163-73. 5. Buijs JT et al. Bone Morphogenetic Protein 7 in the Development and Treatment of Bone Metastases from Breast Cancer. Cancer Res 2007 Sep 215;67(18):8742-51.